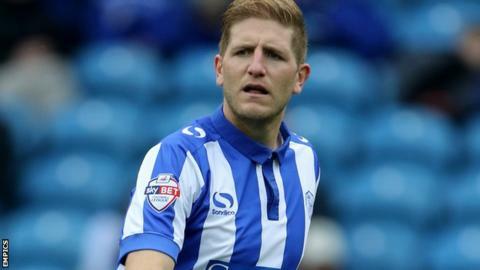 Defender Michael Turner would like to make his season-long loan to Sheffield Wednesday from Norwich City into a permanent move. The 32-year-old returned from an eight-week knee-injury layoff to start in Saturday's 2-2 draw at Cardiff City. Turner has a 12-month option on his contract at Norwich, which expires next summer. Asked if he would like to stay at Hillsborough long-term, he said: "I would do. I've enjoyed my time here. The former Sunderland and Hull City player told BBC Radio Sheffield: "At the moment I'm just signed up on a season-long loan and all I see that at the moment is another year on my contract at Norwich. "I'll have to weigh it up. I don't know when, maybe at the end of the season?" Turner has not featured for Norwich this term and has played just four times for the Canaries following boss Alex Neil's arrival at Carrow Road in January. He finished last season on loan at Fulham as Norwich won promotion back to the Premier League.